All of these beautiful picture frames are handmade from antique wood that dates back all the way to the late 1800's. 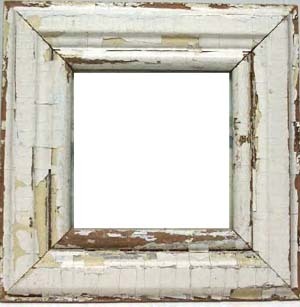 Please note that due to the frames being unique and one of a kind, one frame may be "chippier" than the other, and the wood or ceiling tin may be wider. This is what really adds to the shabby appeal. We will guarantee that you will love your frame and the craftmanship, as well as the history that comes along with it. 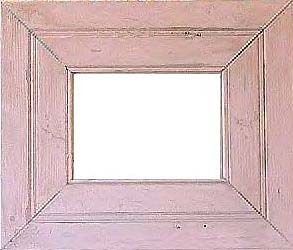 These beautiful frames are available in white, soft pink or creamy white. Please make your selection from the sizes below.